When you arrive or depart your cruise from the Port of Cartagena Colombia, you should not miss a visit to this vibrant city. Nestled in the country of Colombia on the Caribbean coastline, this lively region offers a blend of modern architecture with a historical taste of cultural sites and attractions. The stretch of cobbled stone pathways will lead visitors into the walled city where colonial buildings and deep-rooted churches greet them. They fuse seamlessly into the mixture of modern condominiums, skyscrapers, and nightclubs that compose the section called Bocagrande. You can find cheap hotels with the best deals situated in Getsemaní, alongside the Calle de la Media Luna area. If you want to splurge on your trip, the more expensive properties reside in the areas of El Centro and San Diego, both in the section of the old city. Most budget friendly establishments near the cruise terminal offer single or double occupancy rooms with your choice of two twin-size beds or a single queen bed. 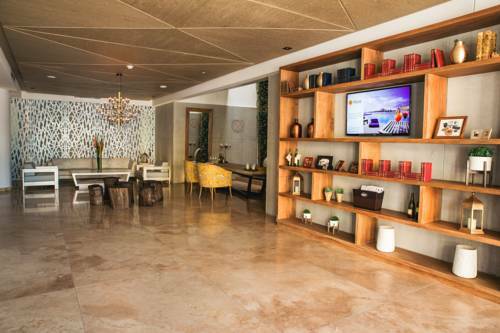 Amenities include air-conditioning, in-room safes, television, and wired or wireless Wi-Fi. Some accommodation feature centres for business travellers, such as conference rooms and room service. Inquire at the front desk if the hotel provides extra services such as laundry. You may find your hotel will offer a complimentary breakfast, but even purchasing your own at the local eateries will fit within your budget. There is an abundance of cafes and restaurants to provide delicious meals for low-cost deals. 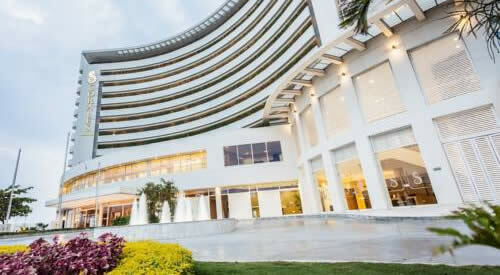 Very popular and modern beach hotel located 5 minutes from the walled city. Located within walking distance of the old historical quarter. 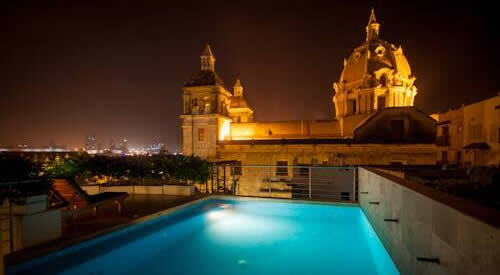 Luxury 5 star boutique hotel set in the historic city centre of Cartagena. Cruise ships dock in the industrial Port of Cartegena, a few minutes walk from the terminal building. A free shuttle to/from the terminal is also available. The port area is a few mliles or about 4km from the old town (El Centro). 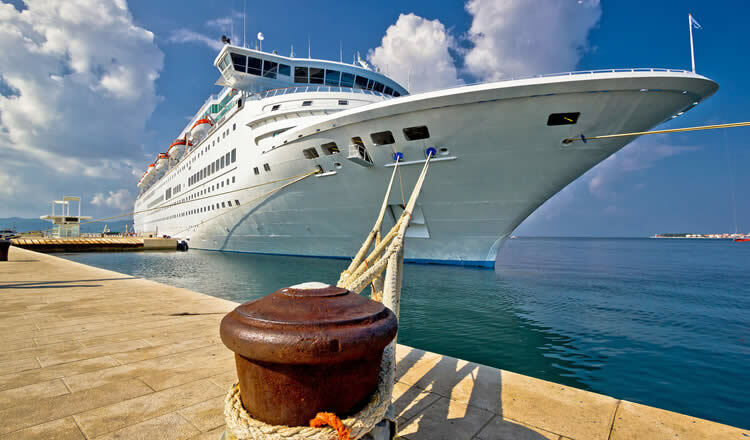 After docking at the terminal and when staying in the city post cruise, taking a taxi from the port may prove the cheaper option, and you will find plenty waiting by the cruise port terminal to take you into the heart of the city. A major cruise line departing from the port is Pullmantur. Other companies sometimes sailing from Cartagena are Crystal Cruises, Swan Hellenic and Voyages of Discovery. A stay in this port terminal city means a chance for exploration and fun. Exploring the old town and the Bocagrande area by foot should not be an issue. Begin your journey with a visit to ‘la Torre Del Reloj’, or the Clock Tower. Built in the 19th century, in present day, it serves as an icon for Cartagena where street vendors sell their handmade crafts and wares. If you want to visit more attractions, renting a vehicle or even taking the bus should not go amiss. Visitors will not want to miss the Castillo de San Felipe, a fortress built in 1657 for protection against pirates when shipments of gold were sent to Europe. Be sure to bring your camera to capture the breathtaking view from the top. Cultural buffs will further enjoy a visit to the Palacio de la Inquisición to learn about the history of the Spanish Inquisition in Colombia. If you wish to experience the beauty of the natural landscape, plan an excursion to Playa Blanca to swim in the crystal waters of the Caribbean. Alternatively, take a day trip to the Islas del Rosario, a series of islands aimed to preserve the coral reefs and their natural environment. Whatever you plan for your stay in the cruise port city of Catagena, Colombia, you will be sure to have a memorable time that will fit your budget with the best hotel deals, giving you the experience of a lifetime! Finding affordable discounts for hotels in Cartagena, Colombia is easy, given how much of the city’s economy depends on tourism. Budget-conscious travellers will find plenty of cheap deals without sacrificing luxury and comfort. Voyages departing from the harbour will take you to other fascinating destinations in Southern and Middle America. Ports of call often include Colon in Panama, Puerto Limon Costa Rica and La Guaira Venezuela. One week cruises stop in various Caribbean ports such as Montego Bay in Jamaica, George Town on Grand Cayman, Willemstad Curaçao and the port of Oranjestad in Aruba. The Peso (COP) is the official currency in Colombia. The US Dollar is widely accepted. Spanish is the official spoken language in the country. Rafael Núñez International Airport (IATA : CTG) is the main gateway to the city. The airport is situated approx. 3km or 2 miles from the old downtown city centre hotels and the passenger terminal building. Taxi’s are available outside the terminal.